Cosmic coll. 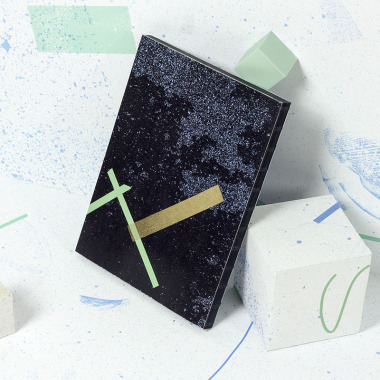 structures-remembering-forgetting-the nostalgia of being… A free series of notebooks, diaries and sketchbooks will bring a hint of infinity to your table. 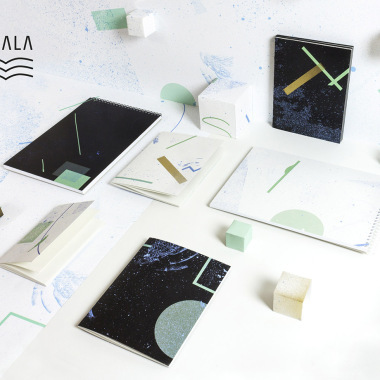 VOALA+J.CHomová = cosmic love VOALA created a new series of unique stationery, following the iconic BLACK BOX, a loose concept of the CONCRETE coll. and vibrant FLOW coll. 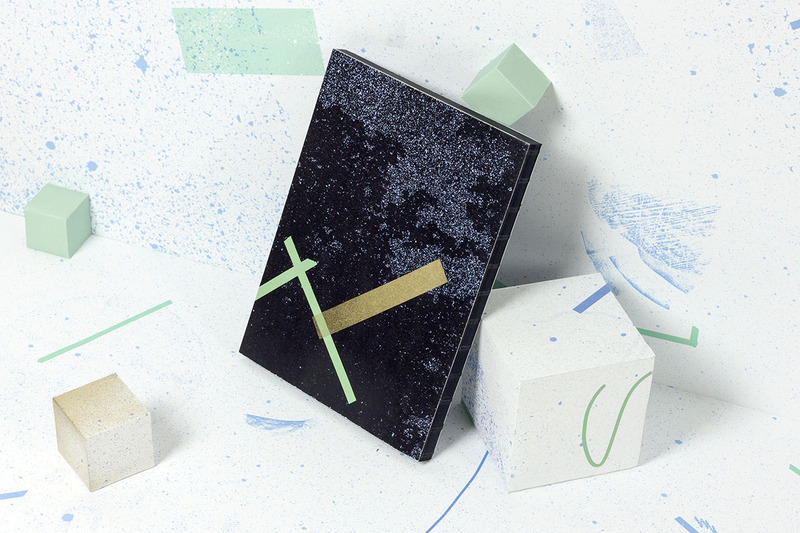 These notebooks clearly cross the boundaries of the concept of paper products in the country. COSMIC coll. is variable in the number of pages and sizes. 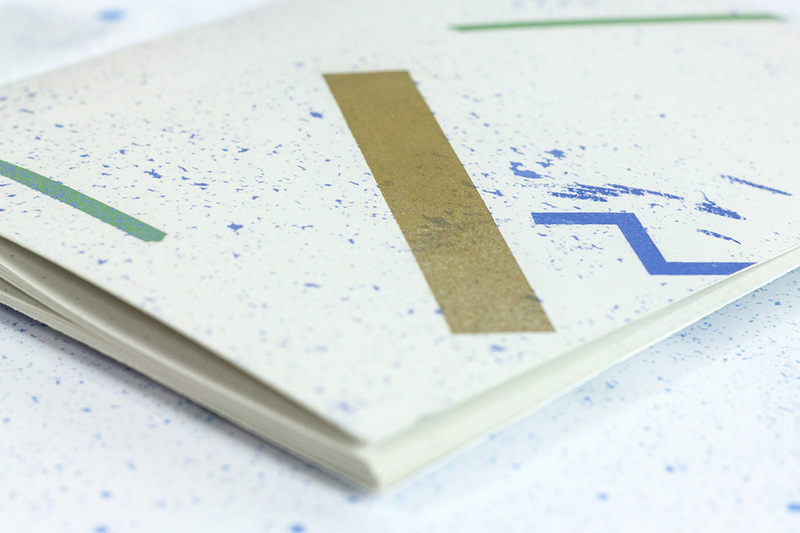 We supervise the 100% quality in our bookbinding workshop. 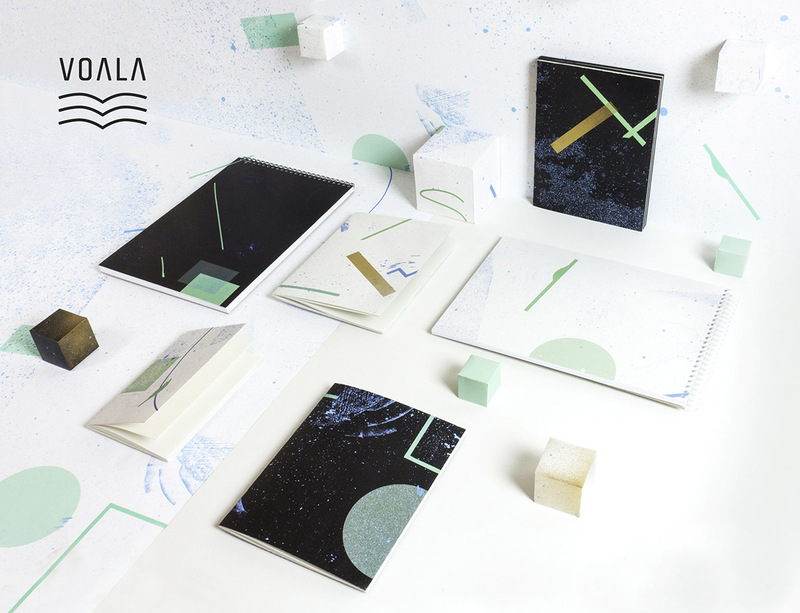 VOALA – graphic studio with a love for paper. We focus on logos, visual styles, packaging design, websites, concepts and realization of exhibitions. 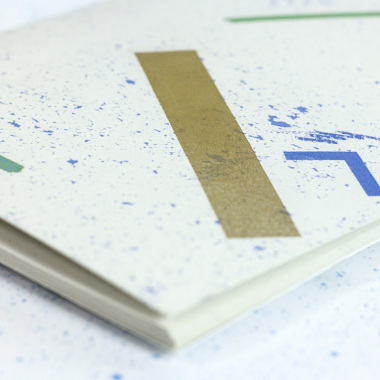 We are interested in functionality, aesthetics and the quality of the work of the graphic designer and also with paper. We have worked together since 2006 (2gd), when the studio was founded by life partners Pavel Kulišťák and Blanka K. Špičáková. Today, the brand also consists of their colleagues graphic designers, illustrators, bookbinders… Just people with a love for paper.